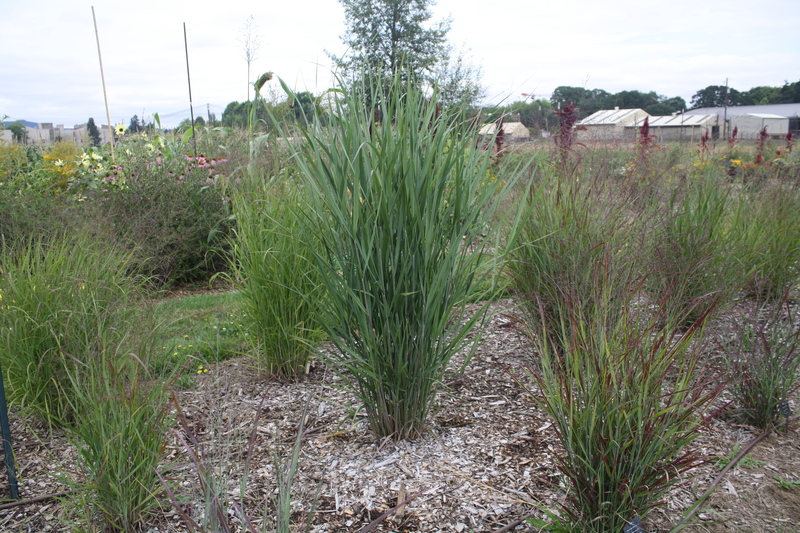 Trial grasses are all flowering or nearly so. 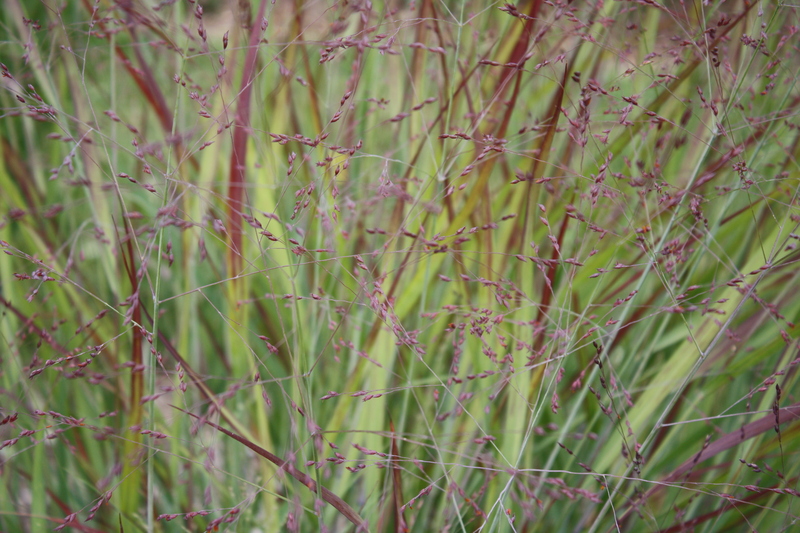 Panicum v. ‘Shenandoah’ is already putting on a show by mid August. The crimson color of the leaf blade is as impressive as the flower-heads and is definitely a wonderful addition to the landscape. The weather has been more or less typical for our Pacific Northwest Mediterranean climate. Zero precipitation in July and three days in a row at 94F, nocturnal temperatures in the 40’s-50’s.